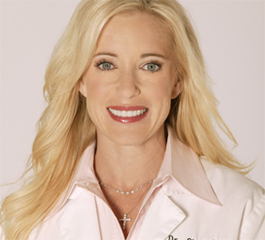 Dr. Sherri Worth is best known for her exceptional work in cosmetic dentistry. She has an impeccable eye for aesthetics and is passionate about creating her beautiful smile transformations. Dr. Worth\'s passion for reconstructive dentistry and helping people achieve a beautiful smile began when she was very young. Born with two of her front teeth missing, Dr. Worth experienced some of the embarrassment and discomfort that comes with being different. She received her Bachelors of Science degree and Doctor of Dental Surgery degree from University of California at Los Angeles. She attended the UCLA Center for Esthetic Dentistry where she received advanced education in general dentistry. Dr. Worth is a member of the American Academy of Cosmetic Dentistry, American Academy of Implant Dentistry, American Academy of Microscopic Dentistry, Orange County Dental Society, Association of Women Dentists, Academy of General Dentistry and Academy of Osseointegration. Also, she regularly attends meetings of the American Academy of Esthetic Dentistry, European Academy of Esthetic Dentistry and Esthetic Professionals.